GetDivorcePapers.com provides professionally completed, 100% court-approval, money-back guaranteed Tennessee divorce forms. Just create an account, complete the interview, and file for divorce. Our case managers do all the work for you, and send the completed Tennessee divorce forms when they are ready to be filed. It is essential for the petitioner to be the resident of Tennessee when the incident for the breakage or reason of divorce arose. 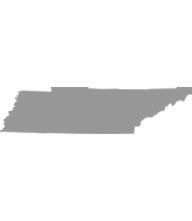 If this happened outside the Tennessee, either of the spouses has to be resident of this state immediately 6 months before filing the case. Papers can be submitted into the county where the couple was residing when separation happened. Otherwise it can be submitted into the county of respondent or petitioner if the defendant is non-resident of Tennessee. Tennessee deals only with the valid reasons from the no-fault or fault based category of grounds for divorces. Both the spouses are required to agree with the reasons and must validate them later on. If any irrecoverable breakdown to the marriage has happened. If spouses are living separate for more than two years and no cohabitation has taken place in this time period. Impotency in either of spouses. Conviction to a crime and jail. Humiliation and inhuman treatment of either of spouses. Any intolerable behavior which makes life difficult to live together. Association of the child with both the parents. Will and desire of the parents. Decision of the child and his age. Health and basic needs of the child. Any symptoms of the domestic violence. Standards of living that the child has been living in. Parents' performance in terms of fulfilling parental duties. Flexibility in the child to adapt to the new environment. Geographic locations of each or parent. Marital home and the goods in use usually go with the spouse that has the physical custody. Role of each spouse towards the acquisition of the marriage property. Worth of property owned by each spouse at time of marriage as well as its dissolution. Economic stability of the spouses and all assets held by them. Education and profession of spouses. Needs and responsibilities of each of two spouses. Tennessee favors either of the spouses if she or he deserves the spousal support. This support can be paid in lump sum, partially, or in perpetual or limited installment basis for the whole life of spouse seeking for this support. Worth of the separate properties if both spouses. If the spouse seeking the support is already a custodian of a child. Any sort of role that either of spouses has played in making the home a peaceful and calm place. Vocational skills of the spouse seeking for support. Education and training required for the employment. Chances for the future employment. Income and liabilities of the spouse that has to pay this support. Tax liabilities on each spouse. Courts in Tennessee have the rights to pay for the child support. In this regard, spouse who has to pay for the support may be required to have an insurance policy for the health of child. These child support payments can be distributed through the clerk of the relevant court. Official child support guidelines have also been set forth in the law of Tennessee that helps in determining the amount of support. However, if the amount comes out to be unjust for either of spouse, it is reassessed to make it reasonable and just. Upon either of spouses' request, court can delay the decision and can provide a chance for reconciliation especially when the joint child custody becomes an issue. Moreover, it can order to attend the training and counseling courses for the reconciliation. There is no need of a lawyer when applying for divorce in the state of Tennessee. A divorce case which is filed without any help of an attorney in any of the states is known as Pro Se Divorce. Literally, Pro Se is a Latin phrase and it means "on her or his own". Process of getting the divorce without the help of lawyer may vary from one State to another. These types of divorces are perfectly legal and enforceable in Tennessee, and are actually very convenient. Usually, once settlements have been made regarding property distribution and custody matters among the spouses in case of a mutual divorce, Pro Se Divorces are filed.